The 777 Bison Ranch believes that a healthy, diverse rangeland is paramount for not only the health of the bison herd, but also for the people who work here, the surrounding communities and the planet as a whole. The 777 Bison Ranch has been planning and developing for the whole ecosystem for the last 35 years. With the help of Holistic Management practices and advice from several conservation organizations, it has increased its biodiversity in both plants and animals. Native plant diversity has increased and has led to an increase in wildlife diversity which has promoted a healthy, productive bison herd. The Ranch strives to protect and work with its wildlife. For example, recently the 777 Bison Ranch retired its hay operation (cutting, bailing, and feeding), which has allowed the grouse population to increase and thrive over the entire ranch. 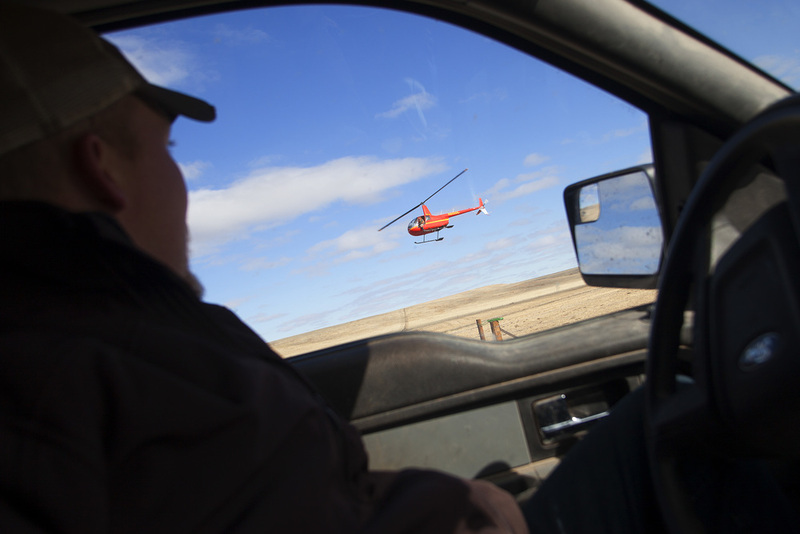 Most recently, the 777 Bison Ranch has partnered with the South Dakota Department of Game, Fish, and Parks in an effort to study and conserve the mule deer population. 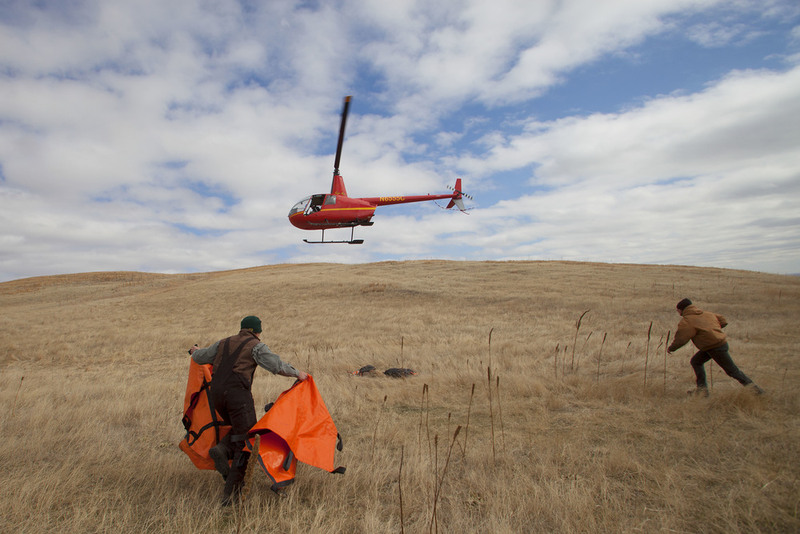 This effort includes capturing the deer with the help of a helicopter and bringing it to the ground team. 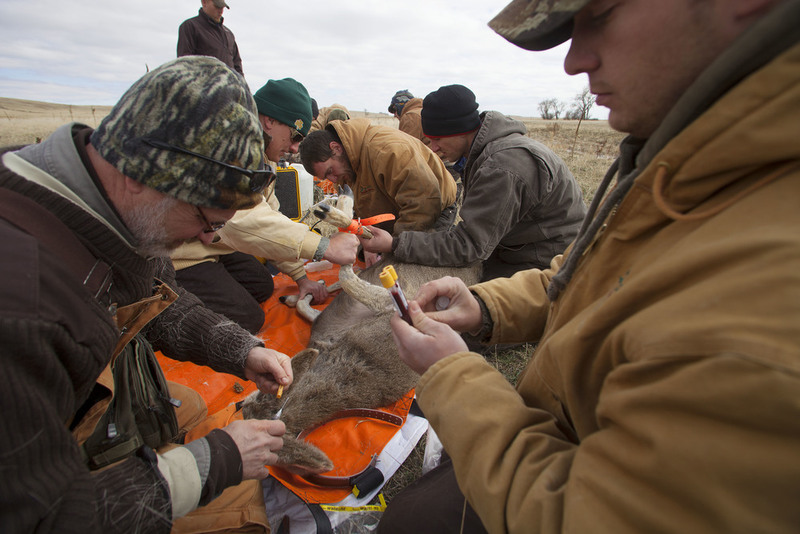 The team then checks the vitals and pregnancy status of the deer, takes blood samples, administers antibiotics, and adds a radio collar, all in a matter of minutes to minimize the stress of the animal. The valuable information collected from the deer will include home range sizes, migration patterns, and seasonal movements of the deer.